The cornerstone of our outreach programs is our feeding program. Years ago the Lord spoke to Pastor Jay telling him to feed the children. By faith, PastorJay stepped out and began feeding the children with what he had, believing the Lord would provide more. Since then FOMM Int’l has been able to provide nutritious meals to nearly 3,500 children, five days a week for ten months. Because of the generosity of our partners, this program has been able to make a difference in the lives of so many children not by just providing a nutritious meal but by showing them the love of Christ. The amount of children in Haiti who suffer from malnutrition is overwhelming. Children whose bellies are bloated from lack of food are easy to spot around the country. We believe no child should ever go hungry so our desire is to see this program continue to grow allowing us the opportunity to feed more children each year. The cost for the feeding program is only $20.00 a month or $240.00 annually. If you would like to parnter with us to feed the children, click on the donate button to the right or send a check to the stateside office. The address is on the right side of this page under Hours and Info. Be sure to note the donation is for the feeding program. We are so thankful for our partners and supporters who help make this outreach possible. Every year the nation of Haiti is impacted during the annual hurricane season. In a nation where there is no infrastructure or emergency services, preparing for the hurricane season is difficult, at best. Mud slides and flooding are a common occurrence and damage to property or loss of life is often overwhelming. Fishers of Men Ministries provides relief for victims of a natural disaster by providing food, clean water, and shelter. In the aftermath of the earthquake that devastated Haiti on January 12, 2010. Fishers of Men Ministries International opened their gates to those who were displaced. Food, water and medical attention were given to over 1,000 people who found refuge in the tent city created on the property. On October 4, 2016, Hurricane Matthew, the worst hurricane to hit Haiti in nearly a decade, left the south side of the island devastated in its aftermath. The death toll was reported to be over 1,000. The property damage and loss was catastrophic. FOMM was able to transport food, clean drinking water and clothing to those victims who had lost everything in this horrific storm. 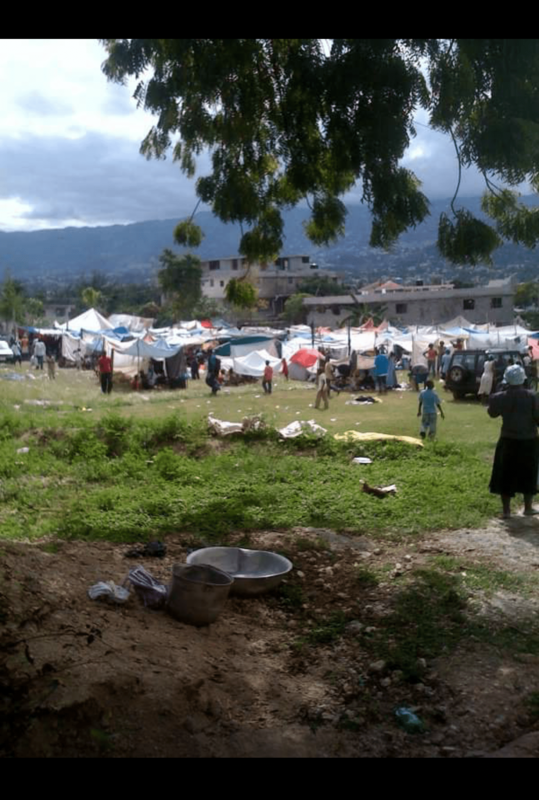 FOMM partnered with a team of Haitian doctors to attend to the medical needs of the victims then once the clean up began, Fishers of Men Ministries Int’l was able to begin rebuilding several churches and schools that had been destroyed. The overwhelming support from our partners made these relief efforts possible. Every year Fishers of Men Ministries International gives hundreds of Christmas gifts to needy children in Haiti. Children who would otherwise have nothing during Christmas, now have the joy of opening up a gift and knowing that someone thought of them during the holiday season. Churches across the United States partner with us in this joyous occasion to share the love of Christ with the children. 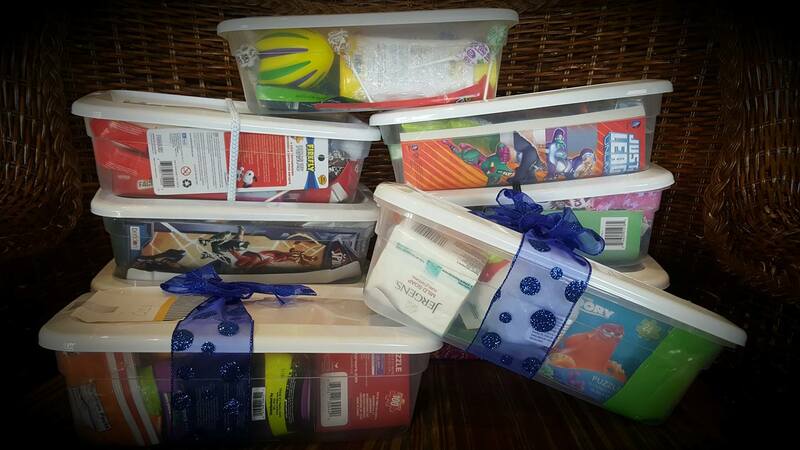 Our gifts are shoebox sized packed with items such as games, coloring books, toys, hygiene products and candy. If you would like to help this Christmas, email us at Jennifer@fomhaiti.org for a more information. Mardi Gras takes place during the week leading up to Ash Wednesday. Mardi Gras refers to a time of celebrations that include carnivals, parades and other activities that encourage participants to overindulge in eating, drinking and other sensuous activities before the season of Lenten begins on Ash Wednesday. Many of the celebrations are inspired and rooted in Voodoo. To offer a Christian alternative to these celebrations, Fishers of Men Ministries Int’l held their first Mardi Gras crusade in 1994. It is an outdoor evening event offering worship music, messages of the Gospel and time for hands-on ministry to those in the crowds. 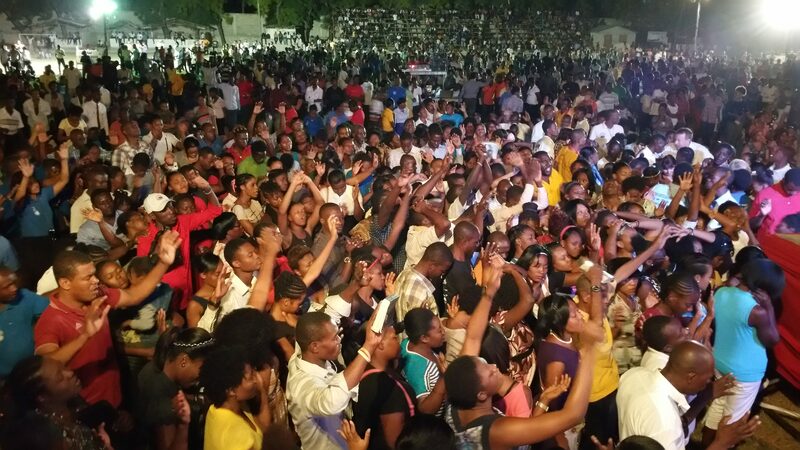 Thousands attend and the attendance continues to increase year after year. During the day, FOMM Int’l welcomes pastors and leaders from all over the country to their National Leadership Conference. Guest speakers come to impart the word of the Lord to the men and women serving the body throughout the nation of Haiti, to encourage and empower them to continue to take a nation for Jesus. If you would like to be a part of what the Lord is doing during this time please prayerfully consider partnering with us. You may consider bringing a short-term mission team to experience firsthand the crusade and conference or you may want to help financially with the costs of this outreach. Please contact our stateside office if you would like more information.